HCG Diet – Is it Too Good to Be True? 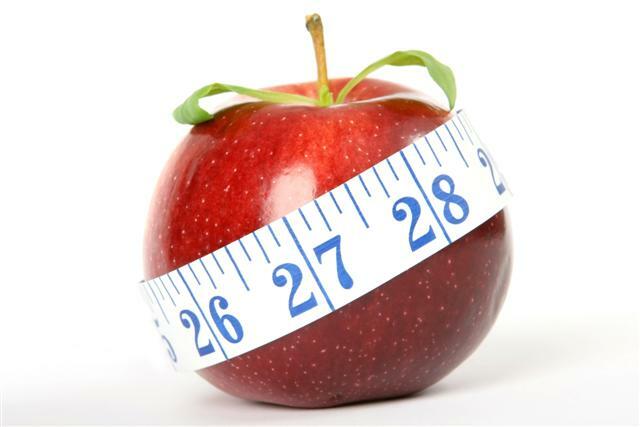 Home » Blog » Nutrition & Diet » HCG Diet – Is it Too Good to Be True? If you’re really desperate to shed pounds and get your body back the way you remember it, you may be tempted to try the HCG diet. The HCG diet plan has gotten a lot of controversy lately and perhaps rightly so. Is it too good to be true? From what some experts say, it might be. Judge for yourself. The HCG diet is a low-calorie diet combined with hormonal injections of a hormone produced by pregnant women called, human chorionic gonadotrophin. The diet is followed for a period of 23-40 days wherein the dieter is promised up to 30 pounds of rapid weight loss in that time. The HCG diet originated in the 1950s as an effective infertility treatment for both men and women. It was noted that when obese individuals used the hormone, they were better able to get rid of fat stores. The HCG diet also claims it can help you get rid of fat in your trouble areas such as stomach, thighs, and buttocks without losing muscle. How Does the HCG Diet Plan Work? The HCG diet works largely by calorie restriction. Dieters are only allowed to consume 500 calories maximum daily while taking injections at the same time each day for 23 days. These HCG injections are more popularly referred to as “drops”. The injections are designed to curb the appetite so the effects of calorie loss are not as uncomfortable. In lieu of injections, some HCG dieters use homeopathic supplements to get the same hunger-reducing effect. However, none of these homeopathic supplements are approved by the FDA for weight loss. The HCG diet goes through three phases and different foods can be eaten depending on which phase you’re in. The first two days of the HCG diet are “gorge days”, meaning you’re allowed to eat whatever amounts of high-fat food you want in order to jump-start your progress and help with hunger cravings throughout the duration of the diet. Then, you get started. The HCG diet plan places a special emphasis in not wavering from the list of approved foods. If it is not on the list, you cannot eat it. For example, in phase 1, bread and grain products are not allowed to be consumed at all, except Melba toast or whole rye bread, because of their low carbohydrate content. All vegetables can be consumed throughout the diet, but must be eaten raw or blanched for maximum nutrients. Alternately, vegetables may also be grilled but they cannot be combined. Only one type of vegetable should be eaten per meal. When it comes to meats, phase 1 of the HCG diet plan restricts your intake to chicken and veal with red meat being only occasional choices. When consuming red meat or pork, all fat must be removed. No types of processed meats such as bacon or sausage are allowed on this diet. Seafood like shrimp, mussels, tuna, carp, marlin, mussels, and scallops may be consumed during the first phase of the diet. During phase 1, fruits must be limited to lemon, grapefruit, strawberries, and oranges due to their low sucrose content. Dairy products can be consumed but must be limited to skim milk and light yogurt. There are also “free” foods allowed on the diet such as vegetable and beef broth, “miracle” noodles, and sugar-free Jell-O. The most popular benefit of the HCG diet plan is how rapidly you’re able to shed pounds. The foods on the diet plan are also very healthy and full of nutrition. A good idea for guys who’ve practically lived on processed foods most of their lives. Eating under 1,200 calories per day can make your body go into “starvation mode” and you’ll store more calories and fat than you’ll burn once you start eating a normal amount of calories again. Cutting back on calories for a couple of days isn’t going to kill you but systematically starving yourself eventually might. The cons of the HCG diet dramatically outweigh the pros. Because of this, you should try it at your own risk. If you want to lose weight the healthy way, try the whole-food diet instead. It’s easy, healthy, and you won’t starve. No matter how heavy you’ve gotten over the years, never be too desperate to shed pounds. That’s how the scam artists get you.